Wailea Grand Champions is at the center of Maui\'s premier destination vacation rental resort, with the best beaches and weather on the island. 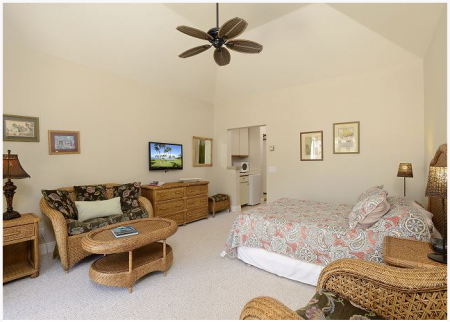 Our accommodation condominium is 1,148 square feet with two bedrooms, two baths, full kitchen, and a generous lanai. 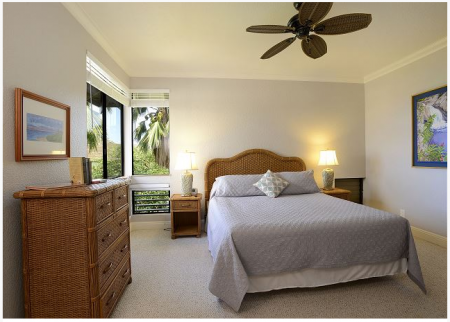 The lanai has an attractive garden view and the master bedroom has an ocean view. The master bedroom has a Tempur Pedic king bed, the second bedroom has a Tempur Pedic queen bed, and the living room has a convertible queen bed. 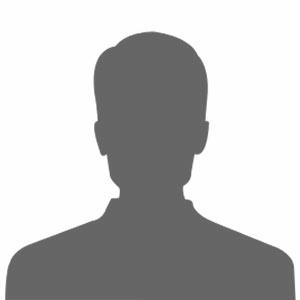 Air conditioning is available in each room, but usually not necessary as ceiling fans and a nice breeze through the screen doors is sufficient most of the year. The lanai has a retractable awning that is remote-controlled so that you can keep the sun off during the heat of the day and then enjoy the full sky when it cools off. Grand Champions is surrounded by a golf course and tennis courts, has two swimming pools and jacuzzis and BBQ areas. 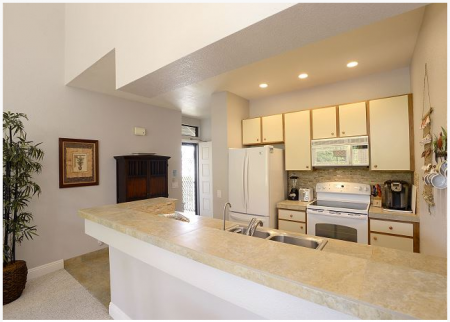 The unit is on the top floor with vaulted ceilings, so there is nobody walking above you. Wailea Grand Champions is a short walk, bike ride, or drive from many of Maui\'s best beaches, restaurants, golf courses, and resort hotels.